Holy moley! 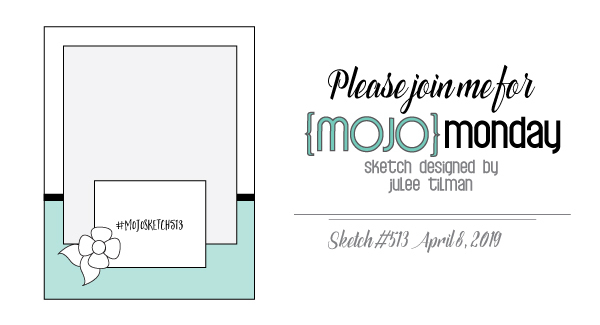 It's already time for another Mojo Monday sketch! Are you excited to play? I hope so! I so enjoy checking out your creations and have been so happy to even see a little Verve making an appearance on a card or two. It makes my heart smile to know my stamps are still being loved! Thank you! 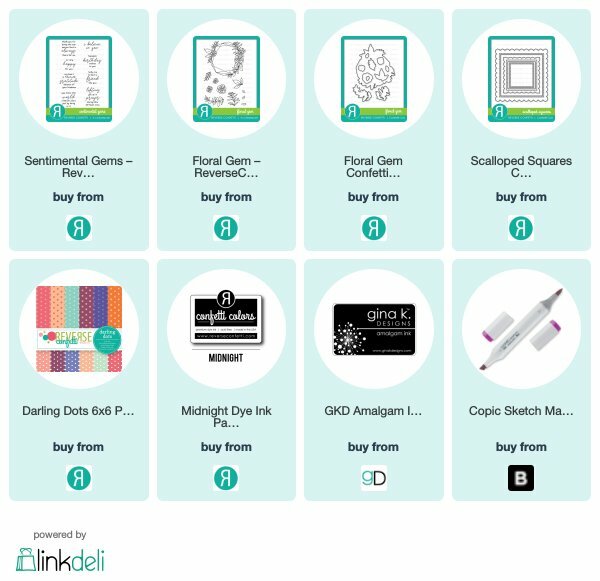 As always, you're free to play along with any papercrafting products your heart desires. 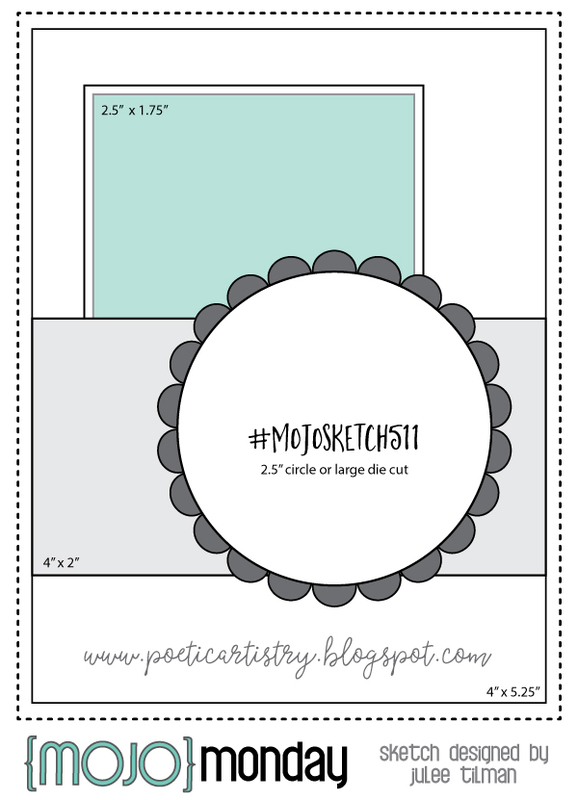 Use the sketch as inspiration for your creation, then come link it up below so I can come take a look! The linky for this challenge will close on March 24, 2019. I have included dimensions on the graphic later in this post, but feel free to change them up to suit your needs. My card today uses some absolutely fabulous new goodies that just released from Reverse Confetti. If you haven't checked out the new stamps, it's definitely worth a look! Today I'm using the new Floral Gem and Sentimental Gems sets. And aren't these spring polka dots so pretty? 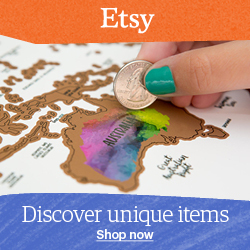 They're from the new Darling Dots paper pad. I started by stamping the gem image from Floral Gem in copic safe ink and then coloring with Copic markers. 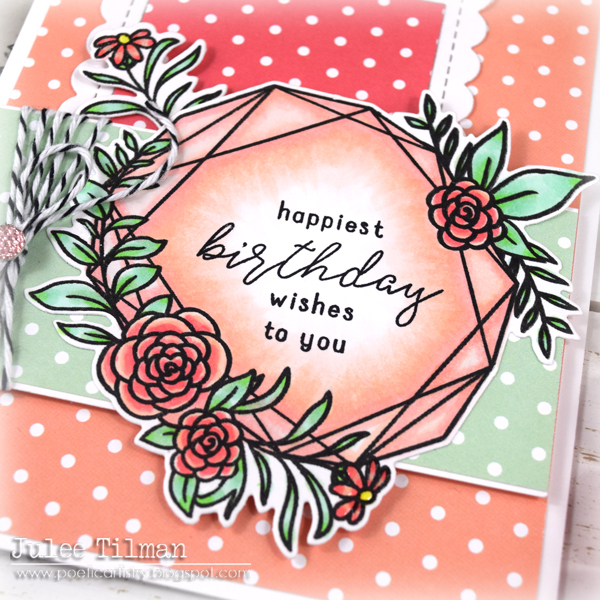 I then stamped the birthday sentiment from Sentimental Gems in midnight ink and die cut with the coordinating Floral Gem confetti cuts. I then stamped the single daisy image and colored and cut to tuck behind this image for a bit more greenery. Next I layered my Darling Dots papers, wrapping a bit of baker's twine around the horizontal panel and matting with white cardstock. For the panel behind this, I cut the Scalloped Squares Confetti Cuts from both white cardstock and patterned paper, then layered them together. Such a fun card for a spring birthday, don't you think? Okay, now it's your turn! I really hope you enjoy creating with this sketch. 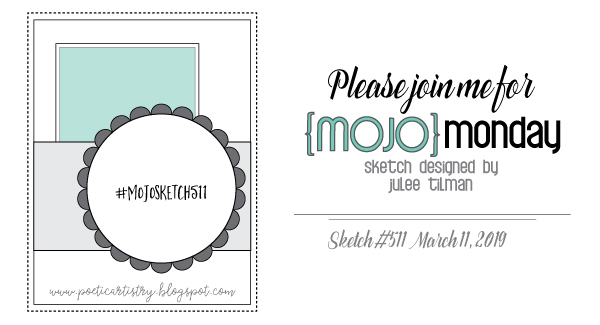 Link up your Mojo Monday 511 cards here! Your card is beautiful. Thanks for the sketch. I enjoyed playing along. i was so so so so so so so excited to hear that you are doing sketches again. thank you so so so so so much. Thanks so much for the great sketch! Your artwork is awesome, as always! Can't wait to play along! These dotted papers are so pretty and a definite reminder of spring. Thank you for always bringing such clean crisp sketches our way, Julee! 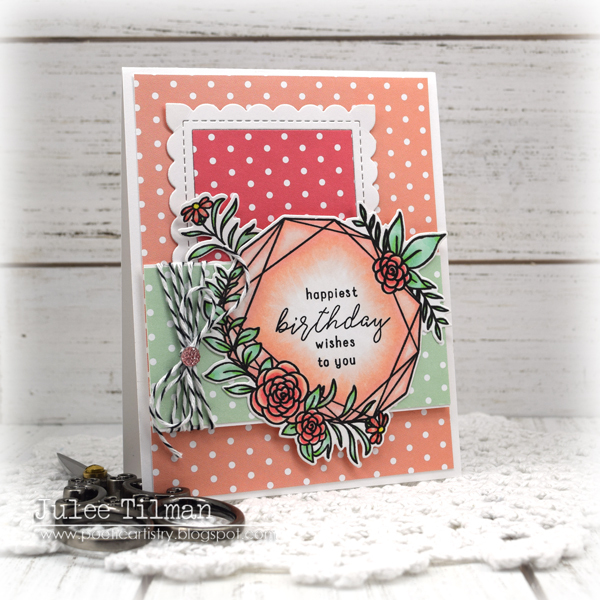 Gorgeous card Julee - I love the combination of geometric shape with the florals and soft feminine colours. 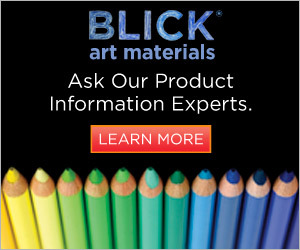 A great sketch this week!